Both the Nigerian Stock Exchange (NSE) and Securities and Exchange Commission (SEC) have given approval to Flour Mills of Nigeria to go on with its plan to raise equity funds through rights issue. The firm plans to raise N39.9 billion from the exercise with proceeds used to strategically position Flour Mills for sustainable growth in its operating sector. Business Post recalls that in May 2015, shareholders of the company granted the board the approval to raise the additional capital through the Series 1 of the Rights Issue Programme. This programme enables the firm to raise funds in several tranches over a three-year period. 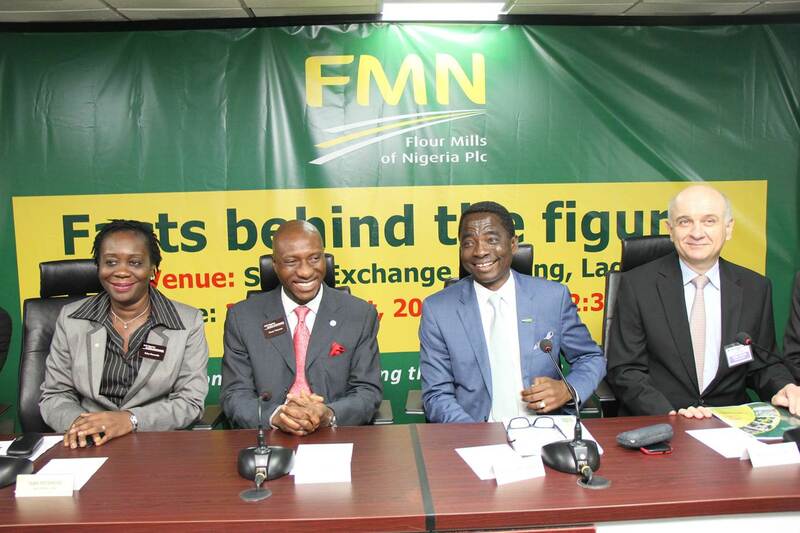 A statement issued by Flour Mills on Friday explained that it would raise the funds from existing shareholders on the basis of 9 new shares for every 16 shares held by them at an issue price of N27per share. The issue price of N27, the firm said, represents a discount of 23 percent to its closing share price on the date of announcement. At the signing ceremony which held in Lagos, yesterday, Group Managing Director of Flour Mills of Nigeria, Mr Paul Gbededo, stated that, “The rights issue is part of our strategy to grow and build long-term value for all stakeholders. Flour Mills has a long and rich history in Nigeria and continues to evolve into becoming the leading food and agro-allied group on the continent. Its commitment to sustainability as a corporate strategy is shown in different levels of its operations and activities, while the company’s customer-centric culture remains focused on both product and process innovation aimed at building value for all stakeholders. Business Post reports that Stanbic IBTC Capital Limited is acting as Lead Issuing House, while FBN Quest Merchant Bank Limited and Zenith Capital Limited are acting as Joint Issuing Houses to the rights issue. Flour Mills disclosed that full terms of the rights issue would be set out in a Rights Circular to be mailed directly to shareholders of the company, which contains a Provisional Allotment Letter and the Participation Form.